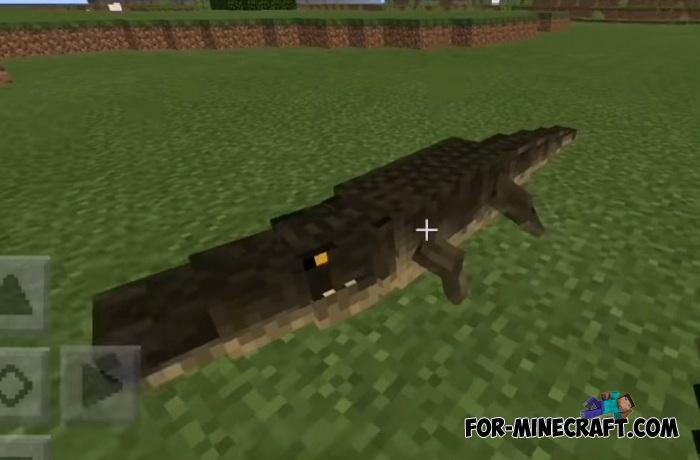 Probably alligators will appear in Minecraft PE 2.0 or later because Mojang needs to add something. Moreover, such a realistic alligator model will perfectly complement the picturesque nature of the game. 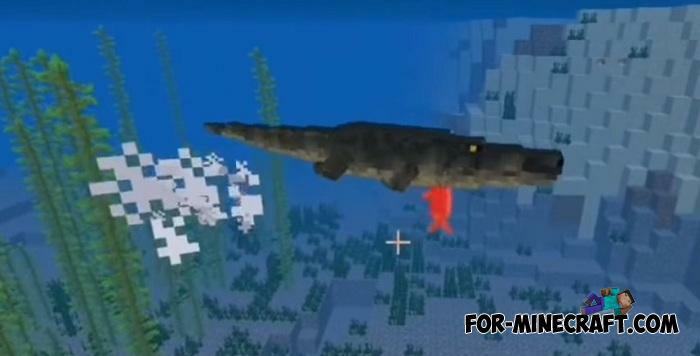 Alligators from this addon can both swim and walk over land. Thanks to the new animation, these descendants of dinosaurs dangerously open their mouths showing all their big teeth. Usually they can be seen near small bodies of water, mostly near swamps. They swim well, so if you like to explore the underwater space, then do it with caution, the alligator can take a bite out of you at any time. Quite rarely but you can meet a white alligator as well as its little cubs. 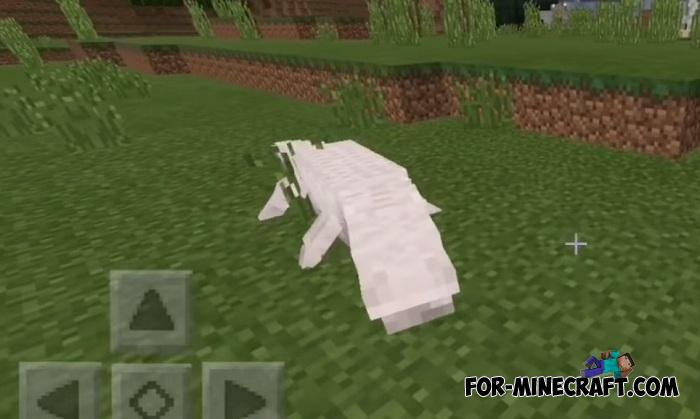 The bigger it is, the stronger it is and represents a greater threat to all players if you play on a MCPE server. How to install the Alligators Addon?